Liam Hennessy: [Shots McGrath in the knee] "That's me being nice!" 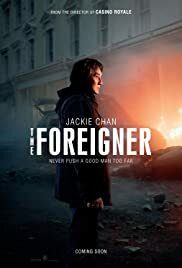 Given that my "Jackie Chan Experience" had been limited to the "Rush Hour" films with Chris Tucker, I was totally (no pun intended) blown away by "The Foreigner." Not only is this is a really good revenge/action movie but Jackie Chan, though still limiting his English dialogue, manages to hold his own with Pierce Brosnan. 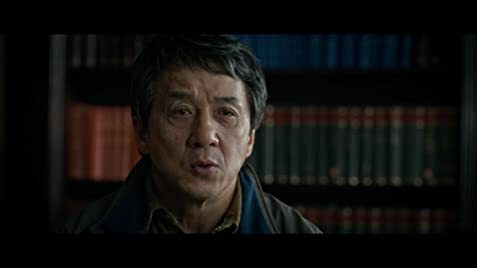 Jackie Chan's performance made me think back to the silent movies (I went to film school) when actors conveyed emotion through facial expression, not words. As for the plot--that aI won't spoil for you--it's above average, and blends several social issues about immigration, family loyalty, and Britain/Ireland history. Bottom line: this film was much better than I expected it would be.